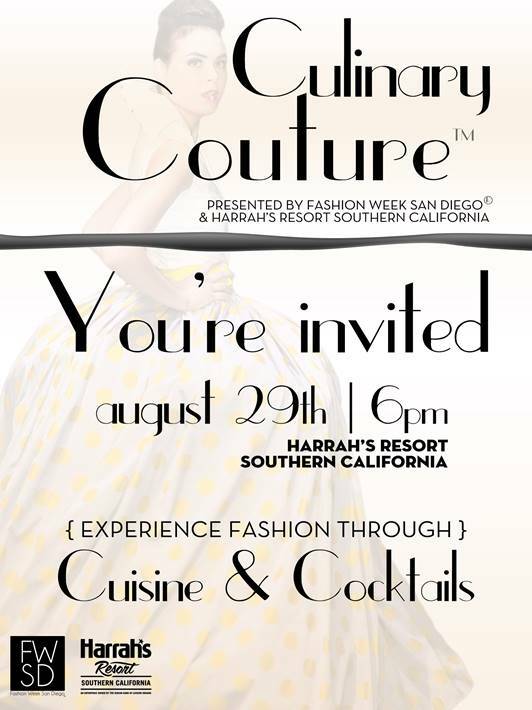 Check out this awesome event presented by Fashion Week San Diego! "From Bangkok to Buenos Aires, five renowned Southern California chefs will be serving up five specially-crafted courses and cocktails, inspired by select fashion capitals. Among these will be Executive Chefs David Abella, James Montejano, Julian Quinones, Marc Therrien and Jon Palsson."